Geldtheorie und Konjunkturtheorie, Wien, 1929, also in English as Monetary Theory and the Trade Cycle, London, 1933, as well as in Spanish and Japanese translations. Prices and Production, London, 1931, also in German, Chinese, French and Japanese translations. Monetary Nationalism and International Stability, London, 1937. Profits, Interest, and Investment, London 1939. The Pure Theory of Capital, London, 1940, also in Japanese and Spanish translations. The Road to Serfdom, London and Chicago, 1944, also in Chinese, Danish, Dutch, French, German, Italian, Japanese, Norwegian, Portuguese, Spanish and Swedish translations. Individualism and Economic Order, London and Chicago, 1949, also in German and an abridged Norwegian translation. John Stuart Mill and Harriet Taylor, London and Chicago, 1951. The Counter-Revolution of Science, Chicag,o 1952, also in German, Italian and an abridged French translation. The Sensory Order, London and Chicago, 1952. The Constitution of Liberty, London and Chicago, 1960, also in Spanish, German and Italian translations. Studies in Philosophy, Politics, and Economics, London and Chicago, 1967. Law, Legislation and Liberty, vol. I, Rules and Order, London and Chicago, 1973. Beiträge zur Geldtheorie, Wien, 1931. Collectivist Economic Planning, London, 1935, also in French and Italian translations. Capitalism and the Historians, London and Chicago, 1954, also in Italian translation. 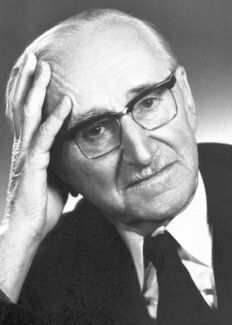 Friedrich August von Hayek died on 23 March 1992.